Teaching at secondary level (grades 7-12) can be both challenging and rewarding. In order to proceed towards this career goal, you would usually need to take a bachelors degree in your chosen subject (e.g., math, English, chemistry) and then follow this with a program leading to teacher certification. It is also possible to take a bachelors degree in secondary education, which includes teacher certification. Getting a secondary education masters degree can open doors that lead to more challenging educational or administrative positions in the subject area for which you are most passionate. This page is about secondary education programs, how they prepare students for a most rewarding career, where you can take them, the career prospects, and more. These programs are readily available online so they are accessible without leaving employment. But if you prefer to study a campus-based program, check the information On Campus Universities. 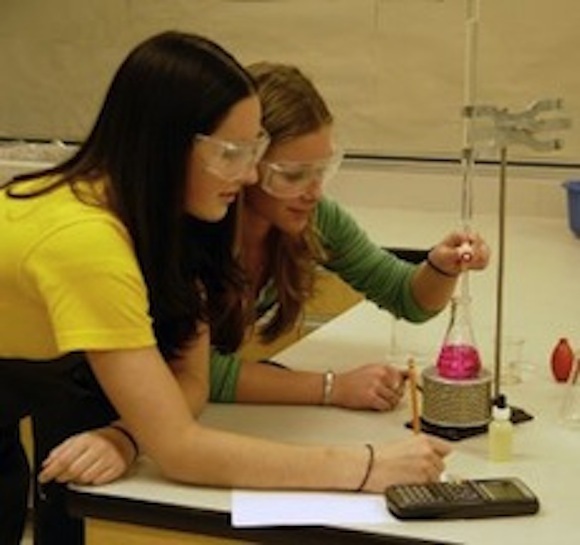 What do secondary education programs involve? Secondary education programs can be for teachers who want to teach in secondary schools or for teachers who want to enter administration. For those wishing to pursue the teaching track, it is possible to study a bachelors degree in secondary education with an emphasis in one subject area, e.g., business education, math or English. The business education emphasis would include: economics, accounting, marketing, management, ethics and finance. The math emphasis would include: algebra, trigonometry, calculus, analytic geometry, probability and statistics. The English emphasis would include: various genres and periods of literature, as well as English language, grammar and linguistics. The Masters programs in secondary education are much more intense than the overview or basic courses taken in a bachelors. These programs include critical discussions on readings and applied classroom learning practicum. The program covers classroom management skills and includes extensive reading material. The history and theory of curriculum in K-12 is covered so that you have a complete grasp of learning concepts and teaching modalities for your specialty. After completing the 4-year bachelors program, this program will take an additional 1-2 years. What salary can you expect on completion of a masters? The pay scale for completion of a program will vary based on several factors. Some subject areas are in extreme demand and the pay will be in excess of $100,000 per year. However, in most cases, an individual who completes a program can expect to make a minimum of $40,000 to $63,000 per year. This amount will vary on the location that you are going to teach and the type of school district your choose to work in.